house of spoon: at the hop! 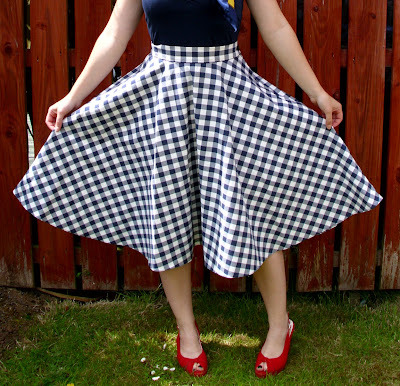 So i wanted to have a go at making a circle skirt in 50s style, but i didn't want to pay for such a simple pattern so I drafted one myself. 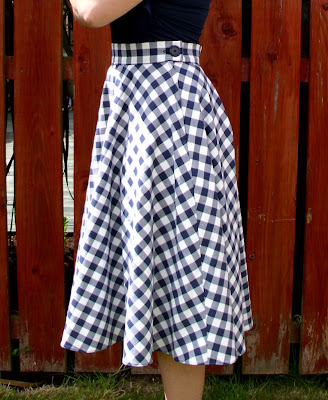 The skirt is a 3/4 circle with a wide waistband - and that's it. It was unbelievable simple to do. 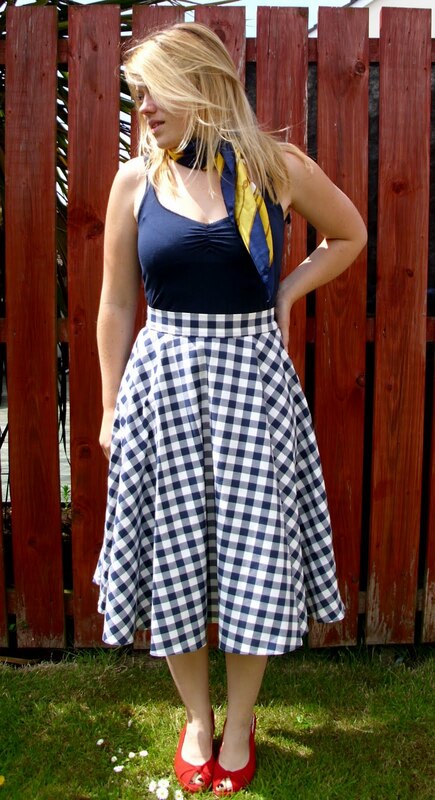 I just baby-hemmed the hemline rather than add any braiding for stiffness because the material is an upholstery weight cotton from ikea and is rigid enough without anything added. At the side i sewed a lapped zipper for neatness and added a big button for extra 50s appeal. 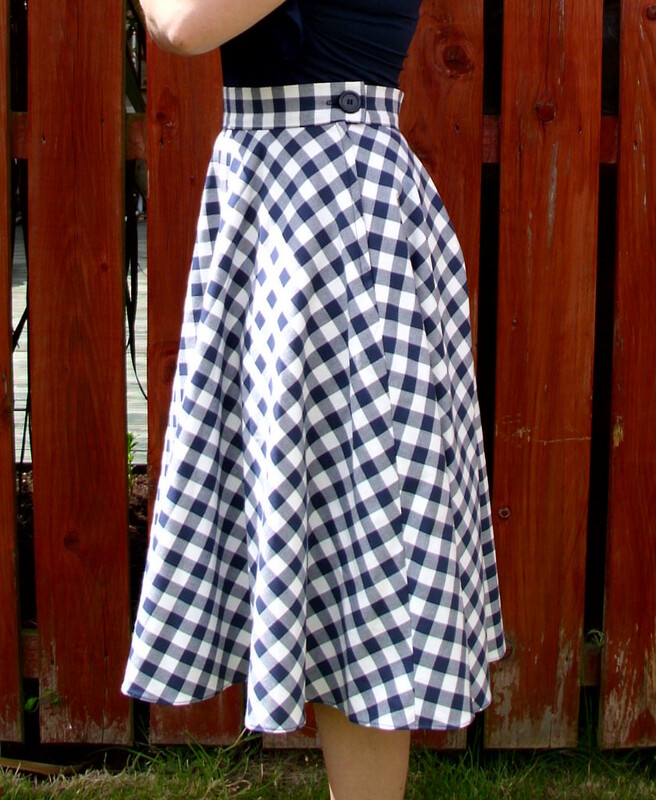 I call this my "at the hop" skirt....poog and gil will know what i mean! !